We’re here to talk…and the first conversation is free! Is your current Digital Website Marketing flawless? Are you getting all of the natural search traffic possible? Technical SEO (Search Engine Optimization) is a MUST if you want to earn higher positions and get more traffic from search engines. And, the use of inexpensive marketing automation tools builds customer relationships and loyalty. We’ve worked with hundreds of companies and will share our expertise when evaluating the Digital Marketing health of your website. 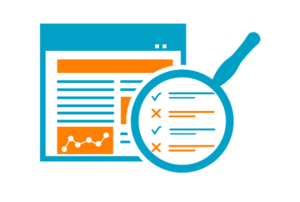 Unlike automated site audits which provide limited value, we will manually review your website SEO and digital marketing, and provide specific and valuable insights in a condensed version of our full site audit-FREE! Kerry is a search professional with more than 15 years of experience in all aspects of digital marketing, and manages the development team at InMarket Success. 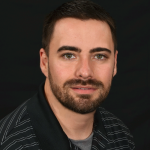 His expertise includes SEO best practices, keyword research, content optimization, link building, social media, and mobile application digital marketing. Kerry has been successful in building several ecommerce businesses for both SEO and mobile, and remains a thought leader in developing unique ideas for marketing via the web. Kerry’s clients have included Antenna International, Evolve Media, TV Lift Cabinet, First National Bank of Beloit, Sony, Orbitz, Cheap Tickets, Campmor, Growing Tree Toys, Steve Spangler Science, Kansas City Steaks, LePoidevin Marketing, and Emergency Medical Products.